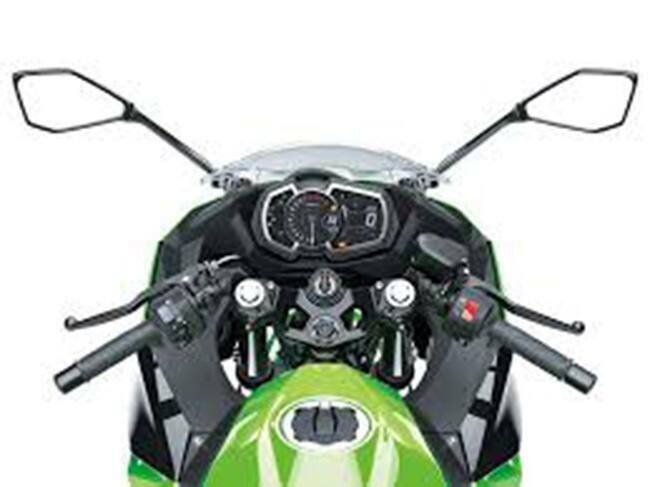 The new Kawasaki Ninja 400 sports split headlamp and the chin spoilers at the bottom of the front cowl, inspired by the Ninja H2. 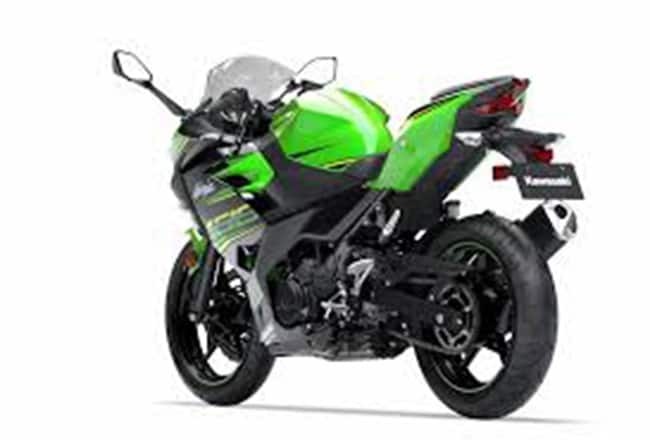 The LED taillight design inspired by the 2016 Ninja ZX-10R contributes to the rear’s sharp impression and the Ninja 400 is equipped with the same instrument cluster as the Ninja 650. 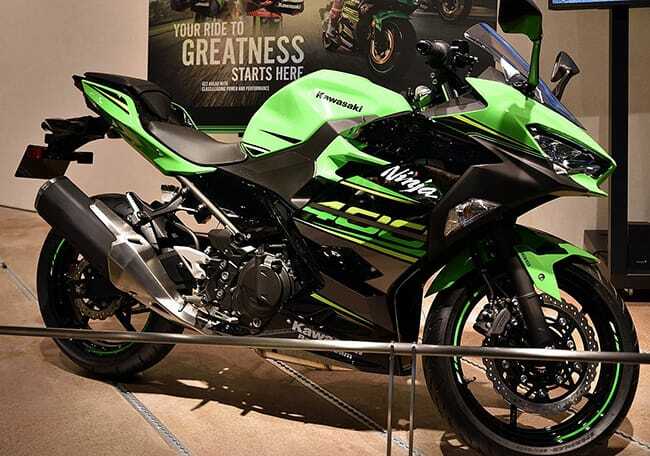 The new Kawasaki Ninja 400 has been launched in India at a price of Rs 4.69 lakh. 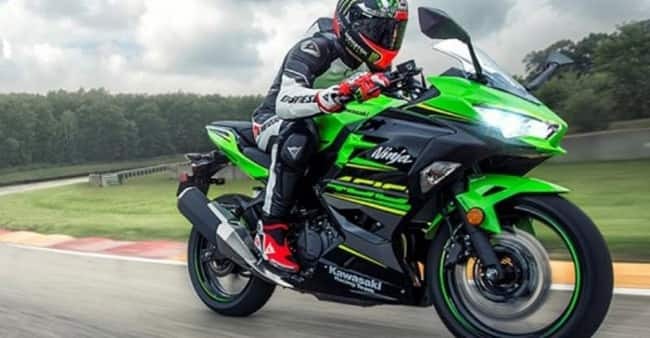 The new Kawasaki Ninja 400 gets power from a 399cc, parallel twin engine that is good for churning out respective power and torque outputs of 44.8 bhp and 38 Nm. The engine is mated to a six-speed transmission and a slipper clutch comes as standard. At the front is a 310 mm petal disc with a two-piston calliper while at the rear, there is a 220 mm petal disc again with a two-piston calliper. Bookings have already begun and the deliveries will begin in as few weeks' time. 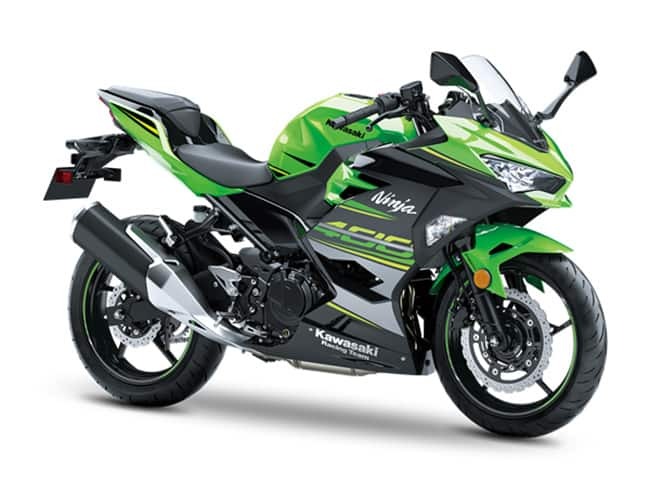 It will be offered only in the KRT (Kawasaki Racing Team) Green Colour.